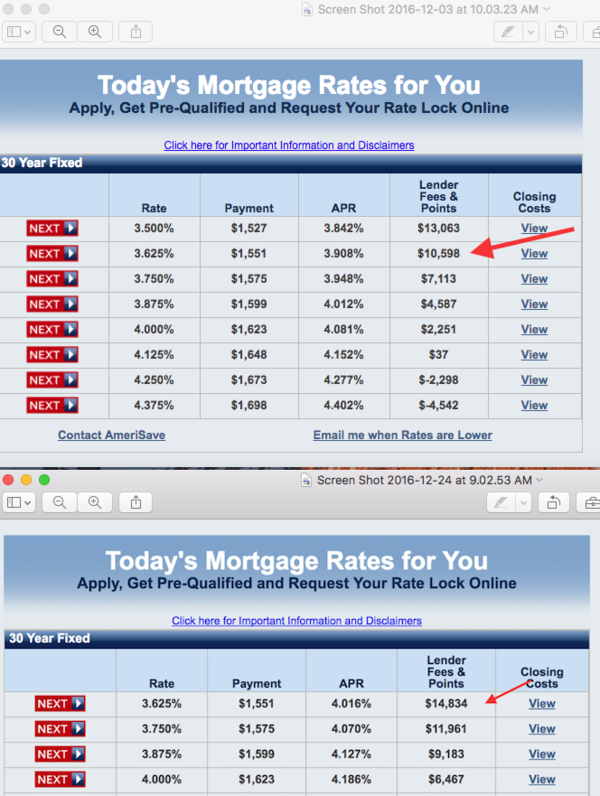 These two screenshots show home prices went up 1% thanks to the Fed raise. Top is December 3 ratesheet, lower is December 24, on a $425,000 property with 20% down. points went up $4,000 to get the 3.625% 30 year fixed. Not sure home prices are going to fall $4000 in compensation, while in theory that's how the market should work, that's not how prices work in practice. Never heard about negative fees and points before (bottom of the upper rate sheet).